It's been a while since I did any nail art just for me without an event or review or something else to go with it. 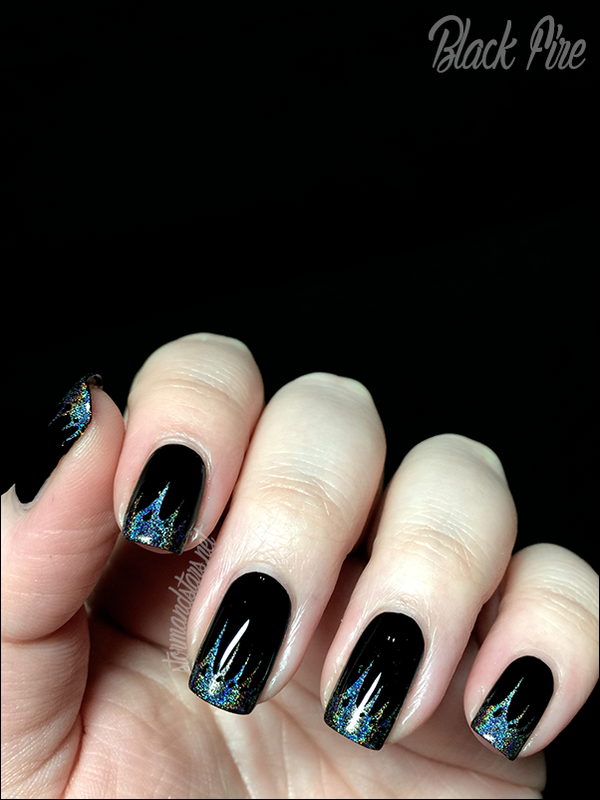 When I got my package from Uber Chic Beauty last week I wanted to do some nail art right away and I've been doing stamping manicures ever since. I did a few to go with some review polishes I got, but as soon as I got a chance I did this simple stamping manicure just for me! Ooooooooh Ahhhhhhhh. >.< I absolutely love love love love how this came out. It was so easy to do and I love my new Uber Chic Beauty plates. This design was calling to me as soon as I opened the package. 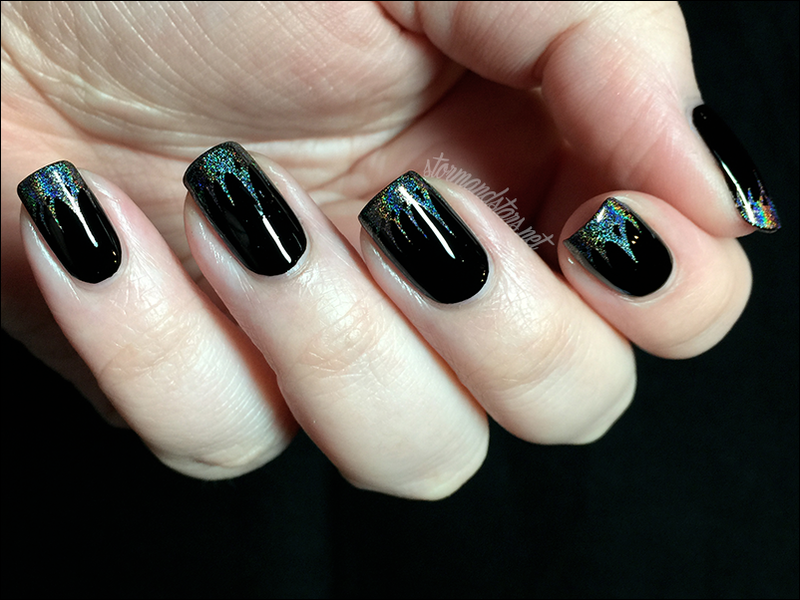 I started out with a base of just one coat of Cult Nails Nevermore, my favorite black, which is unfortunately no longer available. Any black base will work for this, so use whichever one you prefer! 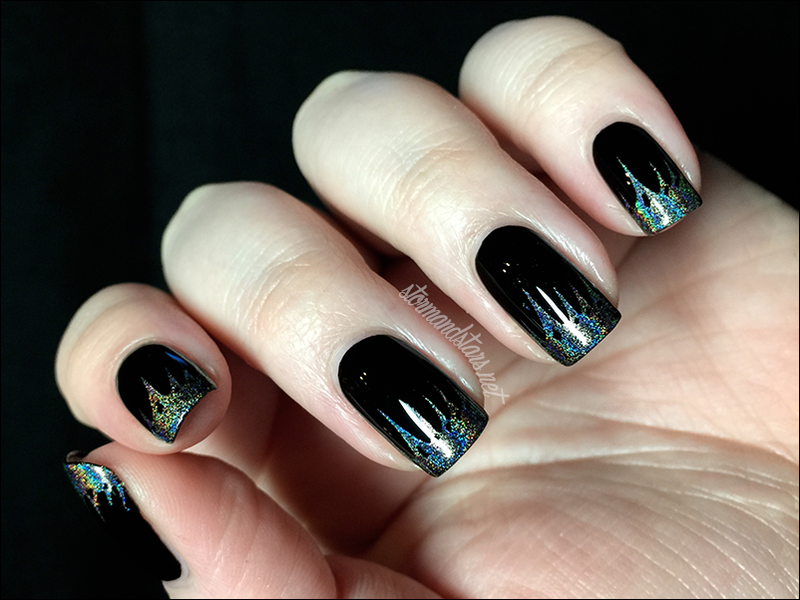 After my black polish dried, I used my new plate and a squishy marshmallow stamper to pick up the image and transfer it to my nail. The holo polish I used here is Color Club Cherubic, one of my all time favorite holos. Have you tried out Uber Chic Beauty stamping plates? I love the ones I purchased and I am definitely going back for more when I can. 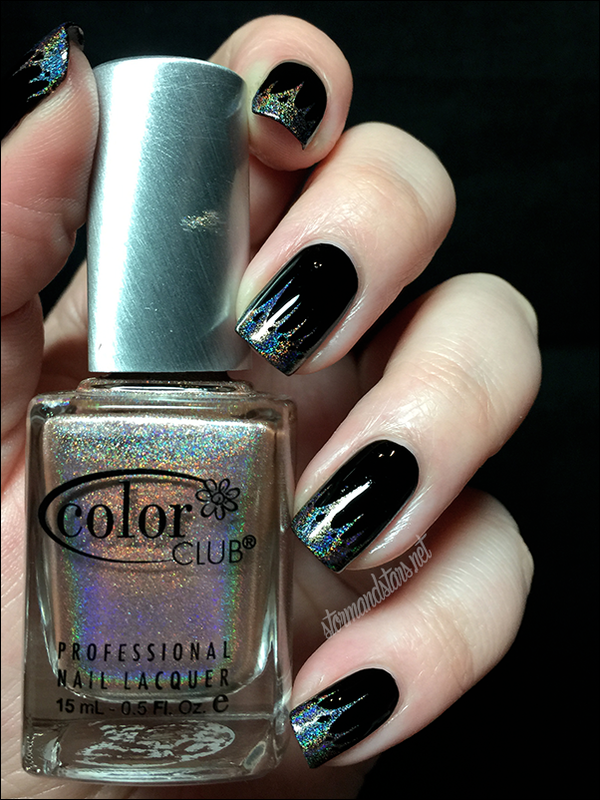 Hi...what number plate from which UC collection did you use for this pretty mani? Thanks! Thanks...I thought so, but wasn't sure. I have all four of her collections but no single plates or the mat (yet). I have read the image you used is hard to apply. If I'm correct about which image it is, I see you, very effectively, used just half of it Great idea! Beautiful mani!